THE biggest Chemist Warehouse store on the Sunshine Coast is due to open soon in a Maroochydore building which has been vacant for years. The new store is scheduled to open by mid-July in premises formerly occupied by Joyce Mayne on the corner of Aerodrome Rd and May St. The large retail showroom has divided up for new tenants and the new Chemist Warehouse will occupy about a third or 1000sq m.
The new store will be five times the size of the existing store that it will replace on the corner of Aerodrome Rd and Wirraway St.
Chemist Warehouse owner and partner Themi Vanieris said he had his eye on the old Joyce Mayne building for years. "Basically, the size and position were perfect for what I'm looking for," he said. This will be the third incarnation of the store, which originally opened at Alexandra Headland, opposite the surf club, four years. Mr Vanieri said the new position was well-located in relation to other Chemist Warehouse stores at Wises Rd and the Sunshine Homemaker Centre. The other stores are between 450 and 700sq m in area. He said it would be of the same model and stock the same core lines as other Chemist Warehouse stores with possibly additional brands in some products. 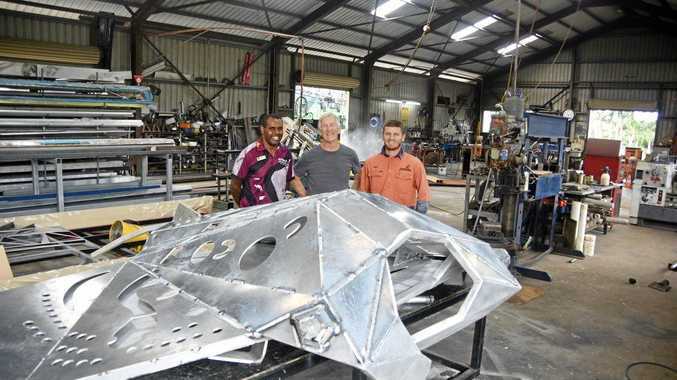 "It will be very similar but there'll be some other stuff in there, some extra core lines. We might have one or two extra vitamin labels," he said. Another 15-20 people will have jobs at the new store on top of the seven already employed at the existing Aerodrome Rd store. Mr Vanieris said interviews had already been held. Chemist Warehouse stores are traditionally high-traffic stores and its occupancy of the old Joyce Mayne building could make the remaining space in the building attractive to businesses which want to "tail coat". The building has been vacant since Joyce Mayne moved to the Homemaker Centre which opened on Maroochy Boulevard in late 2012. Ken Hindmarsh, of Hindmarsh Property Services, said that although the building had appeared to be vacant for years, it had not been available for that long. 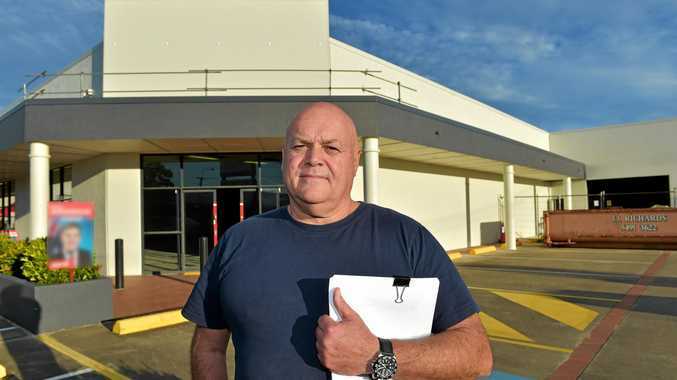 "Harvey Norman and Joyce Mayne, they had the place up until October 31 last year so what might have appeared as vacant premises were actually not," he said. "Through that whole time, it was actually leased to Harvey Norman," he said. Mr Hindmarsh said splitting the large showroom into smaller premises made it more appealing to tenants. "The tenants in the past that might have taken up this big space have been tending towards the larger showroom centres like where Bunnings was (at the Sunshine Homemaker Centre)."